It’s that time of year when we’re craving something green that’s more like spring than winter. 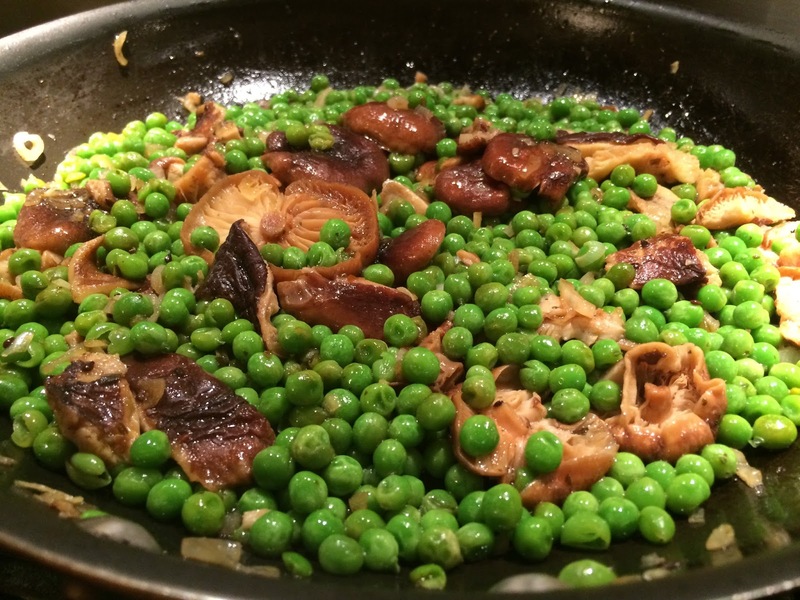 Ironically, frozen peas are one of my favorite options…and it doesn’t take much to jazz them up a bit. If you haven’t defrosted the peas overnight in the fridge, run them under some cool water in a strainer and then let them drain for half an hour. In a large pan, heat up some oil over medium heat and sauté some shitake and sliced scallions until they just start to brown. Add two cloves of chopped garlic and the peas, then cook for another five minutes stirring occasionally. Salt and pepper to taste before serving. For more of an Asian feel you could stir in some soy or oyster sauce, or sesame oil.